When Delilah was about eight years old, and I was fourteen, she developed diabetes. I don’t know how we discovered it, but we were sensitive to certain signs because my father had been diagnosed with type-two diabetes about four years earlier. 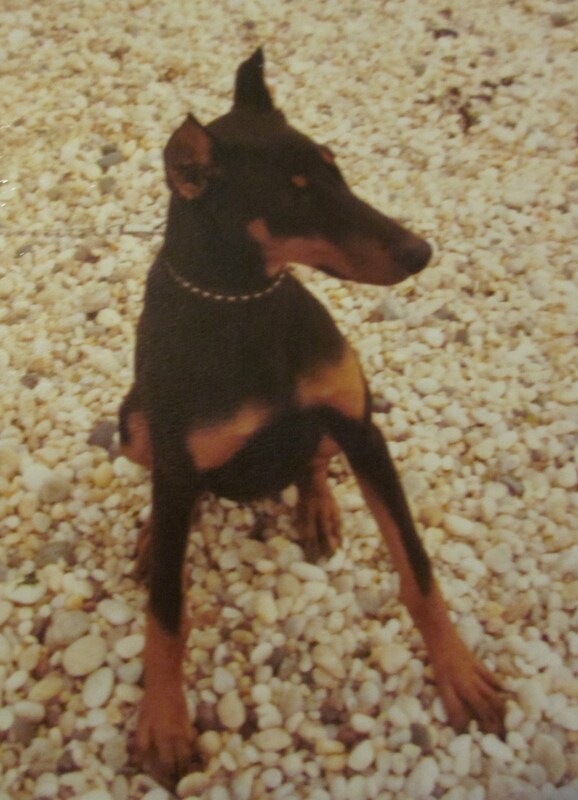 Delilah was a healthy, if skinny, Doberman Pinscher until she got sick. She wasn’t the most energetic creature, but as soon as the door bell rang, she would start to bark, like the guard dog she was born to be. Except that, as the person entered the house, Delilah would walk backward up the stairs, and continue to bark from a safe distance. She spent a lot of time out in the backyard. Mom would leave the back door open, with the screen door in place, so if Delilah wanted to go outside she could push the door open with her nose, and if she wanted to come back in she could bark once or twice. But more often than not she’d just rest on the back porch. I never saw Delilah jump off the porch, I only heard about it, that this mostly quiet dog could get so worked up over the little birds who nested under the roof of the garage that she would stand on the porch with her front feet on the railing and then leap into the air to catch a bird. The drop from the porch railing looked steep to me, but Delilah was an athlete and took it in stride. And then she got sick. The vet sent Mom home with hypodermic needles, alcohol wipes, and vials of insulin. She had to get the shots daily, with Mom learning how to pinch an inch of skin and plunge in the needle where Delilah was least likely to feel it. Delilah was on insulin for almost a year before she died. I don’t even remember her showing signs of deterioration by the time summer came. I had a habit of waking up early on Saturday mornings to clean the kitchen before my parents woke up. I generally woke up anxious, and scrubbing counter tops calmed me down. One Saturday morning in July, I was halfway down the stairs when I saw Delilah on the floor of the dining room. There was a greenish grey aura around her, like a dark version of the chalk outline the police on TV draw around dead bodies. This dog who had been brown and black, now seemed grey. I knew she was dead, and I panicked and ran back upstairs to hide in my room and let someone else find her. By the time I came back downstairs a few hours later, my parents were there. They’d found her, wrapped her in a blanket, and moved her body to the back porch, because nothing could be done while it was still the Sabbath. It was summer, so it was past nine o’clock by the time the Sabbath was over. It was dark by then, and raining. Suddenly, my father thought burying her was an immediate necessity. It couldn’t wait until the morning. It couldn’t be handled by the vet. He couldn’t ask friends to come and help. I had to help carry the blanket covered dog down the porch steps, to the back corner of the backyard, dig a hole, put her in, and cover the hole with dirt. Mom tells me it was more common back then to bury a dog yourself, but by the time I was fifteen, it didn’t feel common at all, it felt illegal and disturbing. I was crying and shaking and my father was yelling at me to hurry up and to shut up. It wasn’t a good way to say goodbye to someone who had been family to me for more than half of my life. And it was too dramatic for Delilah. She would have preferred something quiet and peaceful, with the TV on in the background and a few gentle pats on the head. Posted in dogs, memoir, Uncategorized and tagged death, diabetes, dogs, family, memoir, teenager. Bookmark the permalink. It comes too close to home. I’m ten and we Scotties don’t live very long. I have Addision’s disease and get a shot every 25 days. Thanks for reading. These puppies never live long enough, do they? I am so sorry about your sweet Delilah. It is always so hard to see one slip away to Rainbow Bridge. Thank you for stopping by and liking Chancy’s post. Have a nice weekend. Hugs and nose kisses from Chancy and me. She was a beautiful dog who was loved and cherished by a loving young girl. Who grew into a gifted writer that blessed Delilah’s life by writing about this gentle gift from God. What a beautiful girl. Dogs are so much better than people. If only people could learn by watching dogs, they would learn to not be selfish, and how to unconditionally love others. She’s beautiful. 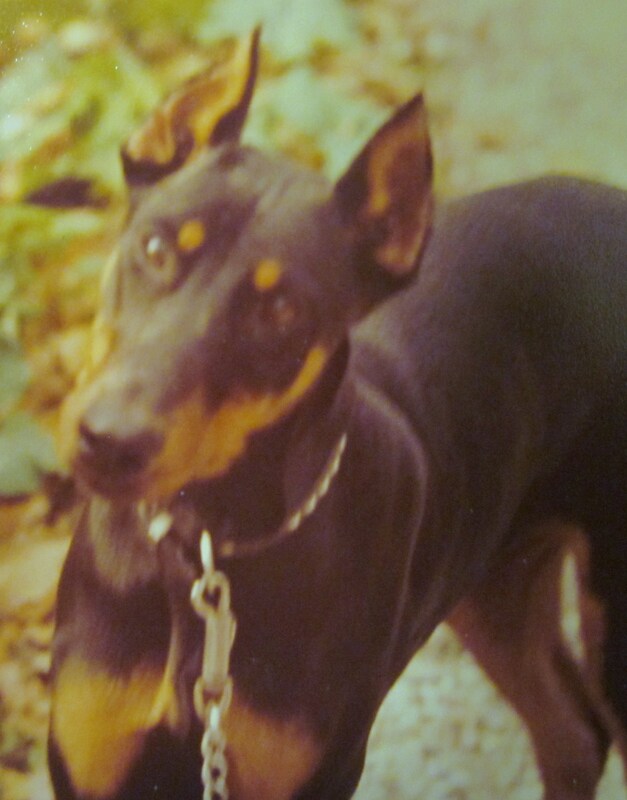 Your post about her hits close, my father in law’s dobie Dexter just passed last week because of diabetes. I have to wonder if this is common in Dobermans? I’m sorry for loss of your girl. I’ve had two dobermans; one died from Parvo and one from Diabetes. They look so strong but their systems are delicate.